Ever since man evolved form animals and gained the ability of imagination, he has always had a sense of wonder and marvel about the complexity of life and everything around him. Religion, was meant to be an abstract wisdom passed on from one generation to their offspring which addressed these issues. Religion is the answer of civilizations to ‘what is the meaning of life/this is how the universe operates’, and being an abstract theory, different civilizations propounded different theories. So, comparing modern science (as we colloquially phrase it) and religion is an apples and oranges proposition. Religion was always meant to be a vehicle to pass on complex metaphysical ideas to next generations through metaphors, stories, comparisons and subjective truths. But it becomes a problem when a civilization’s conceptualization of religion is so narrow that it limits its people in understanding other concepts and starts to create intellectual contradictions. All these ‘science versus religion’ debates are relevant to the specific set of faiths based on Abrahamic religions and do not apply to open ended Dharmic wisdom. Therefore the inherent contradiction, if any, is a function of the frame of reference of the observer. As a Hindu observer, we find no contradiction between the two. It’s not that there is no difference between a scientist and a religious philosopher but in our case, the ideas which these two professionals propounded weren’t in contradiction with each other, unlike Abrahamic faiths which hounded their scientists for coming up with theories that challenged their deeply held beliefs. ‘The idea of zero’, for example, was resisted tooth and nail by the Church because ‘nothingness’ and ‘infinity’ didn’t fit into their binary belief system, as it does in the eastern Dharmic value system. Also, how you define a scientist is also suspect? Our saints like Sushrut were masters of plastic surgery, as has been documented in detail in Sushrut Samhita, but the subterfuge lies in the way the word ‘scientist’ has been defined by the west to mean post 17th century western scientists. We never had any incidents of our scientists being at odds with religion or religious figures. It’s clear that the debate between science and religion in India was already settled thousands of years ago since both of these were not contradictory concepts, intellectually. 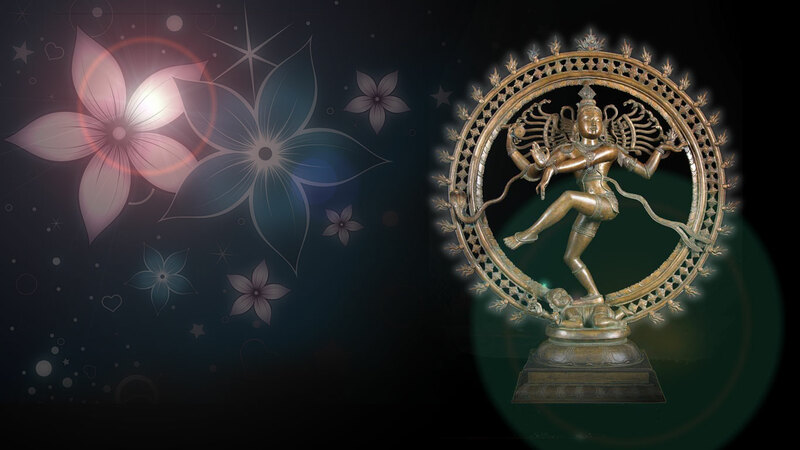 That is why there is a Nataraja statue outside the CERN science laboratory signifying that there is still no contradiction between science and religion. That is also why when scientists discovered Higgs Boson and named it God’s Particle, no one saw the contradiction. This has always been our way of life as per Advaita Vedanta where the creator and created is one, united only by energy- it is this Shakti we worship as god, hence God Particle. In ancient India, the philosophical schools of Samkhya and Vaisheshika, from around the 6th–5th century BC, developed theories on light. According to the Samkhya school, light is one of the five fundamental “subtle” elements (tanmatra) out of which emerge the gross elements. In contrast, the Vaisheshika school gives an atomic theory of the physical world on the non-atomic ground of ether, space and time. (See Indian atomism.) The basic atoms are those of earth (prthivı), water (apas), fire (tejas), and air (vayu), that should not be confused with the ordinary meaning of these terms. These atoms are taken to form binary molecules that combine further to form larger molecules. Motion is defined in terms of the movement of the physical atoms. Light rays are taken to be a stream of high velocity of tejas (fire) atoms. The particles of light can exhibit different characteristics depending on the speed and the arrangements of the tejas atoms. Around the first century BC, the Vishnu Purana refers to sunlight as “the seven rays of the sun”. The sum total of ‘science’ (physics, electronics and computer science) we know today is merely a fraction of the real deal (quantum Physics). The deeper humanity dives in this quest for knowledge, the more these rigid faith based religions will find themselves at odds with ‘science’ while Hindus will simply glide through it as second nature. The most obvious reason why this is happening is, without mincing words, because the metaphysical hypothesis of the Abrahamic faiths about how the universe operates is completely flawed. There’s no way to sugarcoat it. The concepts enshrined under Abrahamic religions were less about elevating the believer’s spiritual understanding and more about being means of political organization aimed towards feudal imperialism. So, the more truth that gets revealed to the collective human race, the more uncomfortable Abrahamics (and crypto-Abrahamic cults like Marxists) will become and you will see more of these religion vs science debates coming out from these groups. Even the Hindu concept of ‘अहं ब्रह्म अस्मिति’ is actually a constellation of Mandelbrot sets arranged in a particular mathematical formula. Check this fractal, and the fractal constellation below it, is what we call Shiva. People forget that when the Christian west was busy claiming that the earth was flat, we had always been calling it Bhigol, भूगोल, which is a compound word for गोल भूमि (round earth), since eons. Our sages had presented coherent mathematical calculations about the solar system but unfortunately our definition of a ‘scientist’ is so narrow (coat-jacket wearing, usually German Christian) that this doesn’t even register in our brain while debating this issue and we dive into the debate believing the faulty Abrahamic premise that these two sides are not only separate but contradictory, although conventional Hindu wisdom has always said otherwise. Leave alone knowing all the scientific advances made by Hindu sages, but had our people known even this anecdotal trivia, they could have used that in the ‘science versus religion’ debates to drive home the point that Hinduism and science have never been at odds with each other. It is not an ‘either this or that’ issue for Hindus. Take another example, the names of elements in the Periodic Table have Sanskrit etymology. Fortunately, the tide is beginning to turn in our favour as is evident from the upswing for Hindu ideas. They might not appear to be leading to an immediate conversion of the listener to Hinduism, but, all I can say is that the number of listeners is growing. Indic concepts like Yog, Karma, Pundit have become a natural mainstay of western discourse without any external stimulation or promotion. Although, there is this debate on Hindu ideas and philosophy getting digested by Christian west but reality is much more nuanced than that. If something is the truth, it ultimately spreads, one way or another, with one name or another, without having to have dedicated evangelists on your payroll for marketing purposes. Take the case of the propagation of Hindu ideas through the movies like Avatar, Life Of Pi. The connotations are hard to miss. Cameron calls the connection a “subconscious” reference: “I have just loved … the mythology, the entire Hindu pantheon, seems so rich and vivid.” He continued, “I didn’t want to reference the Hindu religion so closely, but the subconscious association was interesting, and I hope I haven’t offended anyone in doing so.” He has stated that he was familiar with a lot of beliefs of the Hindu religion and found it “quite fascinating”. Also, take for example the latest movie on Ramanujam, The Man who knew Infinity, again made in Hollywood. They have courteously shown him worshipping Hindu God, an idol (notwithstanding popular cultural touchiness about idolatry) engaged in traditional Puja. Ramanujam is shown explicitly crediting his mathematical genius to his local deity, which is more than enough for a movie that was not sponsored by Hindus. The director had the option to not show it at all, in the classic western fashion, and could have simply redacted those aspects and presented Ramanujam as a secular mathematician, denying him his Hindu identity. Instead, he was shown in his true Hindu form, someone who faced the intolerance of the then contemporary Christian scientists. Fact of the matter is- if Hindus don’t take ownership of their own legends and tell their stories to the world then someone else will pick them up and narrate with a distortion or claim them as their own. Whether Hindus do it consciously or not, Dharmic ideas will spread and make the global grip of the Abrahamic narrative a little less rigid. And religion vs science debates just provide that right ammo to further expose the disconnect of Abrahamic cults from nature. The inherent contradictions in these religions are sitting there to be exploited, the only question is- will Hindus finally wake up and expose them for the betterment of the world.